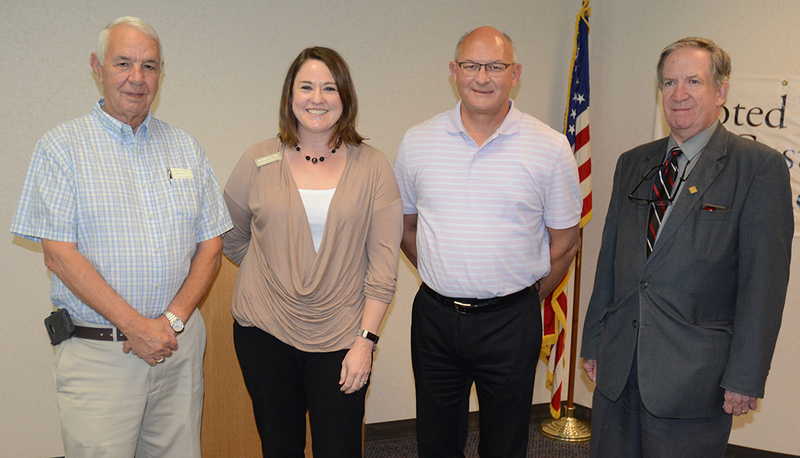 From left, Haleyville Mayor Ken Sunseri, Rachel Hackworth, executive director of Safeplace, Inc.; Haleyville Area Chamber of Commerce President Mike Evans and Winston County Circuit Clerk J.D. Snoddy. HALEYVILLE - Safeplace, Inc. has been helping victims of domestic violence from Winston County, opening a new facility in Marion County but now reaching out with the need to open a shelter in Winston County as well. Safeplace is a comprehensive domestic violence program which provides shelter to abuse victims in Colbert, Franklin, Lauderdale, Marion and Winston. Thanks to a grant through the Victims with Crime Act, Safeplace opened two new shelters, in Colbert and Marion counties.